There are times when unpredictable things may happen in your marital life and ultimately you and your spouse may split up. There are times when unpredictable things may happen in your marital life and ultimately you and your spouse may split up. Many a times, it has been found that one of the spouses have badly ruined the credit of the other spouse. And it should always be remembered that bad credit definitely affects the chances of getting good rates and terms for mortgages, car loans or credit cards, etc. 1. Check your debts and credit lines: If you've been married for quite sometime now, then there are chances that you've forgotten about the accounts that you share with your spouse. This can range from an unused home equity line of credit or a Sears credit card, etc. In order to know all about your credit lines, you can pull your credit report which will list all the individual, joint or authorized user accounts. You will be solely responsible for your individual accounts. Joint account means you and your spouse jointly share responsibility for paying off the debt on that account. An authorized user means the account is held individually by one person who allows another to use the card, but the other person is not responsible for the balance. 2. Get rid of each other as authorized users: As the authorized user is not liable for the debt he/she incurs on that account, it's better to remove your spouse as the authorized user if you're planning for divorce. 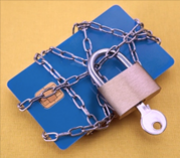 In order to remove your spouse as the authorized user of the card, you should give a call to the credit card issuer and ask for your spouse's name to be removed. 3. Get rid of joint accounts asap: Unlike removing the authorized user from your card, it is a bit complicated to separate the joint accounts. It is always recommended that you pay off joint accounts and close them before going into the divorce. If, for any reason, that's not possible, then you should try to convert them into individual accounts. You may refinance the mortgage into your name or ask your spouse to transfer the balance of one credit card to another that is in his/her name only. 4. Keep a check on your joint accounts: If you're unable to get rid of the joint accounts in any way, then it will be better if you could keep a check on such an account. Your first step will be to request your lender to send you a copy of the joint account's statement each month. This is irrespective of the fact whether or not your spouse is responsible for payments. Apart from that, you can pull your free credit report from different credit reporting agencies and check out if your accounts are being paid on time. 5. Go for a post-divorce budget: As you're moving on from a dual-income household to a single-income one, take only that much obligation which you feel you can comfortably handle. When you go for a post-divorce budget, make sure that your housing costs are your top consideration. Your utilities and phone will also fall under this category. Then you should give due importance to other obligations like auto payments, personal loans, credit cards, and other insurance costs.